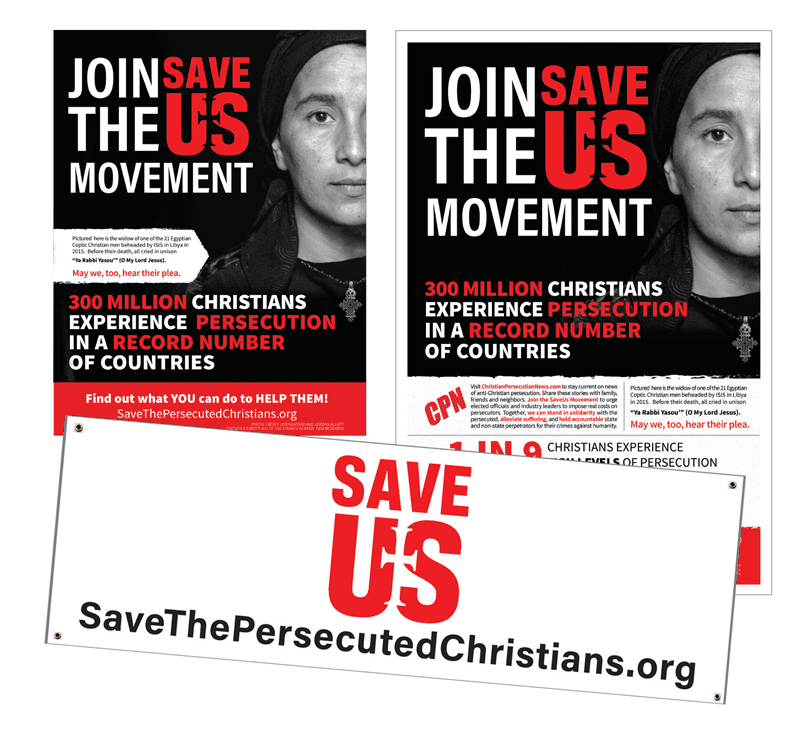 At this time, Save the Persecuted Christians is making available one (1) Starter Kit per place of worship for FREE in an effort to exponentially raise awareness about this grave social issue. You can order additional kits here. (1) Pastor’s Folder – with information and recommendations for how congregations can help persecuted Christians. **Please also note that the banners do not ship with mounting hardware. We suggest using two 4ft light duty fence posts and four bungee ball ties to mount the banner in a fashion similar to what can be seen below and on our home page. These can be found at your local hardware store.